Over a span of forty years, the Bauers have acquired the world’s largest collection of diving helmets, hand-operated air pumps, armored suits, lights and other accessory gear, plus memorabilia, prints, photographs, books, film and video. Their passion took them to virtually every corner of the world and the Museum’s collection now represents the contributions of more than 30 countries to diving history. As their research evolved and collections grew, the Bauers were inspired by the idea of using their collection—which had become the largest and most comprehensive in the world—as the basis for a museum to share their knowledge and passion for diving history with the public. 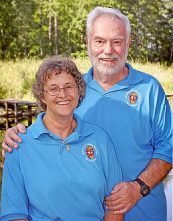 Following the Bauers’ retirement, they moved permanently from Cleveland, Ohio to the Florida Keys, the perfect location to establish what became The History of Diving Museum. 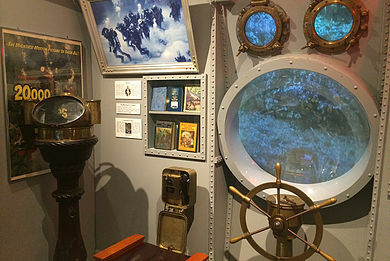 The History of Diving Museum was first incorporated in 2000 and opened to the public on a part-time basis in September 2005. For the next twelve months, the museum installed a new exhibit monthly, opening each exhibit with a lecture and tour. The museum began full-time operation in September 2006. Sadly, the museum suffered a tragic setback in early 2007. The unexpected death of Dr. Joseph Bauer left a large void in the overall organization and in historical documentation. Although, the museum took some time to recover, to its credit, it has managed to overcome and adapt. Dr. Joseph Bauer’s legacy is a major theme at the museum and inspires its continued development. Dr. Sally Bauer exemplifies the fortitude of the museum, and also serves a reminder of the original vision and purpose. 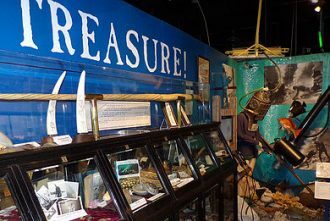 The Museum is dedicated to collecting, preserving, displaying, and interpreting artifacts, antiques, books, documents, photographs, and oral history relative to the History of Diving. We tell the international story of man’s attempts to explore, understand, and venture under the sea. We also celebrate the special role that South Florida and the Florida Keys played in this story.